"He's making me really happy," the star said of her new partner. 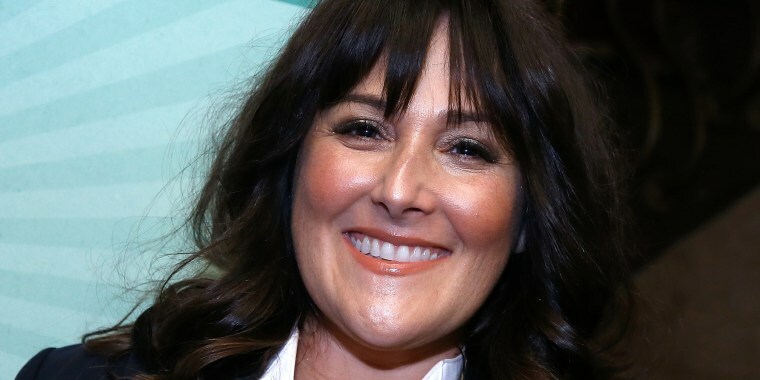 Two years ago, Ricki Lake suffered a devastating loss when her ex-husband, Christian Evans, the man she's long referred to as the love of her life, died by suicide. Since then, in addition to becoming an outspoken advocate for mental health care, Lake has opened up on social media about her grief and the pain of living in the wake of such a loss. But now she has some good news to share with fans who've followed her throughout that process. "I found love again," she revealed Wednesday at the Television Critics Association Winter Press Tour in Pasadena, California, according to People. The actress and former talk show host is now dating the founder of clothing company One Golden Thread, Jeff Scult. She recently shared a photo of the two of them on Instagram with the simple caption, "This is what happy looks like." Lake told the crowd gathered at the TCA event that Scult is her "brilliant new love," and that "he's making me really happy," adding, "We've been together for three and a half months. We met through a mutual friend." And that wasn't the only big reveal from Lake Wednesday. Hours later, on the mystery competition "The Masked Singer," she was unmasked as the latest costumed celebrity to get the boot — the Raven. One of the hints Lake offered viewers about her identity during the competition was that she'd suffered a tragic loss and saw the show as a "chance to honor my beloved," which fans now know was a reference to Evans. Although she and Evans divorced nearly two years before his death, they continued to live together and support each other until the end. In December, long before anyone knew about her then-budding romance with Scult, Lake shared a photo of Evans and gave her followers a clue that while he'll never leave her heart, another happiness was on the horizon for her. "Though his absence in the physical has left a gaping hole in my life and heart, I can honestly say I have come out of the darkness," she wrote. "My heart is open again to life and love. I feel his spirit guiding me along the way."